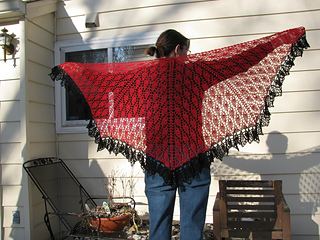 The Small Talk Shawl is a top down shawl that is not a triangle and sits well on the shoulders. 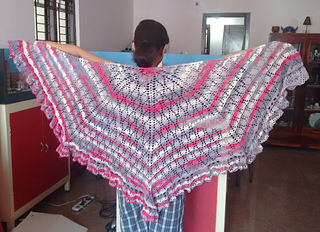 It is composed of leaves, a modified center point, and can be made to any size desired. 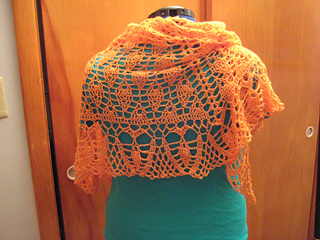 I chose to use a sock yarn, but it can be done in any weight with appropriate hook. The pattern has written directions and hand drawn charts. I have tried to make the charts easy to read, but please feel free to contact me if you have any questions. It has been tested, but if any errors are found, please let me know. Chart added to the heavier edging instructions!